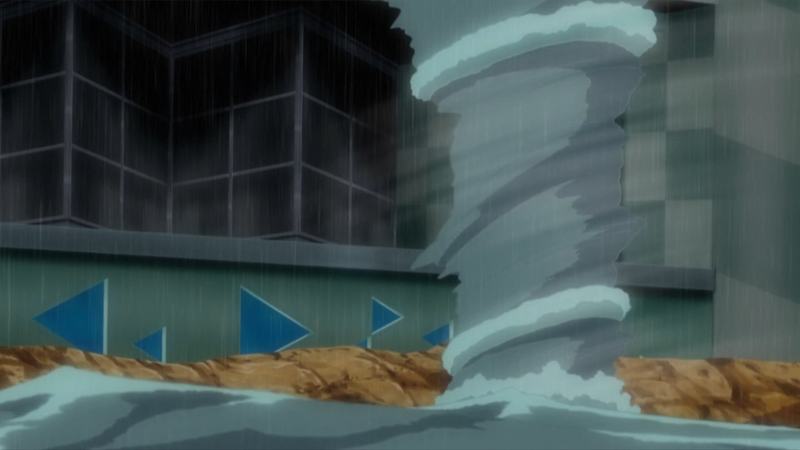 Ash and the rest of the group arrive at the Cerulean City Gym, that is newly remodeled with large rocks. Ash’s Pikachu and Brock’s Geodude reunite, as Professor Kukui explains that Brock and Misty will be battling them as part of an extracurricular lesson. Excited to battle, Lana, Mallow and Ash pick Misty to battle, while, Sophocles, Lillie and Kiawe choose Brock. Misty faces off against Lana and Mallow together with her Psyduck. Lana uses her Popplio and Mallow uses her Steenee. Psyduck uses water-gun at Popplio, who catches the water in a bubble, hitting Psyduck with it. Steenee uses Magical Leaf which pops the bubble surrounding Psyduck, causing it to fall head first on the ground. Anyone that remembers Psyduck from the early series knows that it’s mostly useless until it’s headache becomes sever. Psyduck uses a powerful Psychic on Steenee and Popplio, however, Misty calms it down and the battle ends. Brock uses his Geodude to take on Lille Alolan Vulpix and Sophocles Togedemaru. He uses Zip Zap on Geodude that has no effect due to it’s ground typing. Vulpix attacks with Powder Snow, but Geodude counters with Gyro Ball. The battle isn’t comprehensive but does show what the Gym leaders are capable of. Professor Kukui informs them that the real battles will be against Kiawe and Brock and Misty against Ash. Kiawe uses his Turtonator while Brock uses his Steelix, Turtonator uses Flamethrower which surprisingly not as effective as it should be. Steelix counters with Bind but Turtonator uses Shell Trap to break free. Steelix then uses Dig, landing a direct hit followed by hitting Turtonator with its tail. Brock removes his vet and shirt activating his Key Stone causing Steelix to Mega evolve. 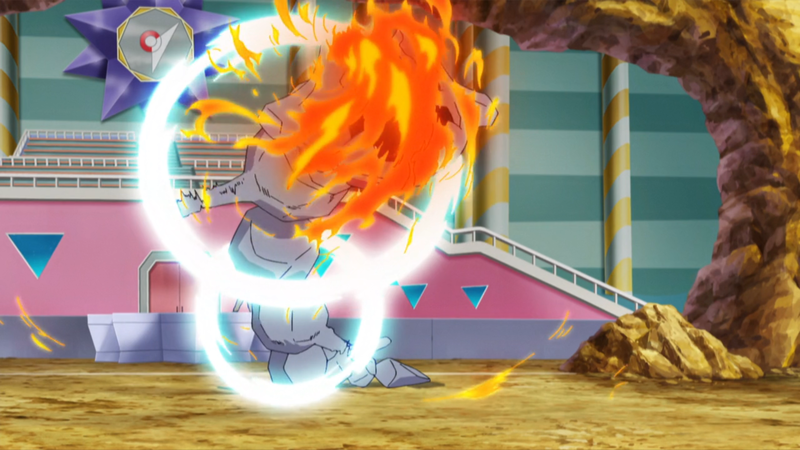 To counter Kiawe and Turtonator use their Z-move, Inferno Overdrive. 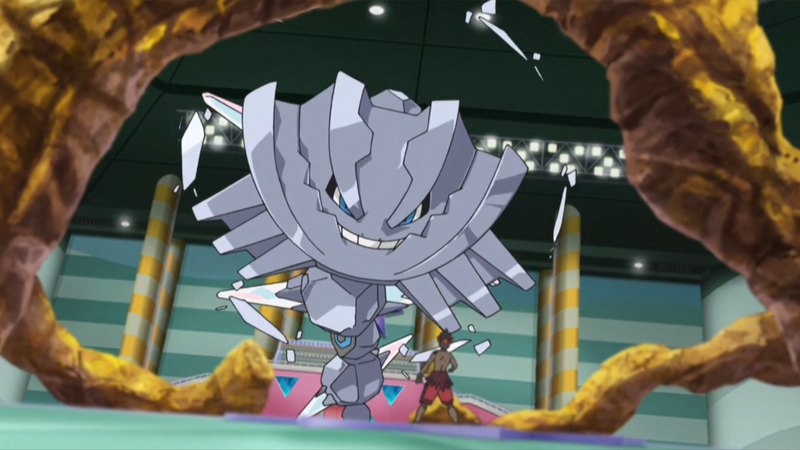 The Z-move directly hits Steelix causing massive damage, however, Steelix withstands it. Brock counters with Stone Edge causing Turtonator to faint from impact. Finally, Misty and Ash battle using Gyarados and Pikachu respectively. Despite the type disadvantage, Misty’s Gyarados holds its own. Pikachu lands an early attack with Quick Attack, Misty uses Rain Dance in combination with Hurricane nullifying Pikachu’s electricity. 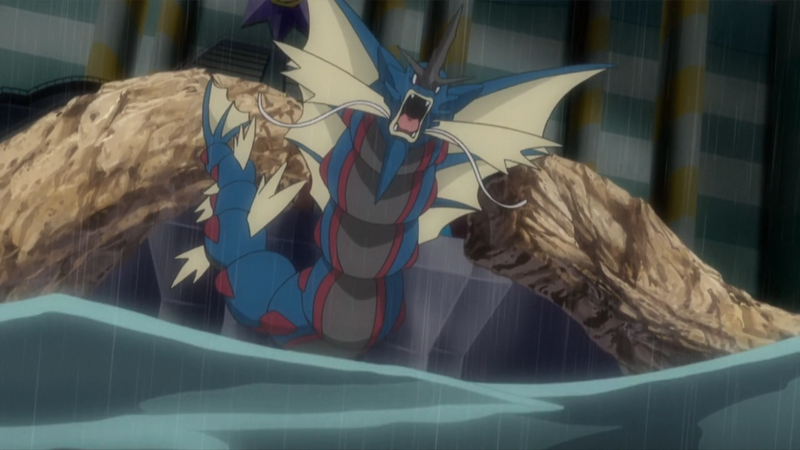 Misty uses her Mega Stone and Gyarados mega evolves gaining the upper hand against Ash and Pikachu. Misty traps Pikachu within Hurricane claiming that no trainer has ever escaped it. Pikachu manages to escape and together with Ash the use the Z-move Gigavolt Havoc defeating Mega Gyarados and Misty. As always the animation in this series top notch and is most impressive when there are battles. See Brock and Misty again was fun and I hope that they bring back other characters from the past. Anyway, the one down side of this series is the fact that they devalue Pokemon battles to much for my enjoyment. However, if your familiar with the video game version of Sun and Moon battles aren’t as important either. 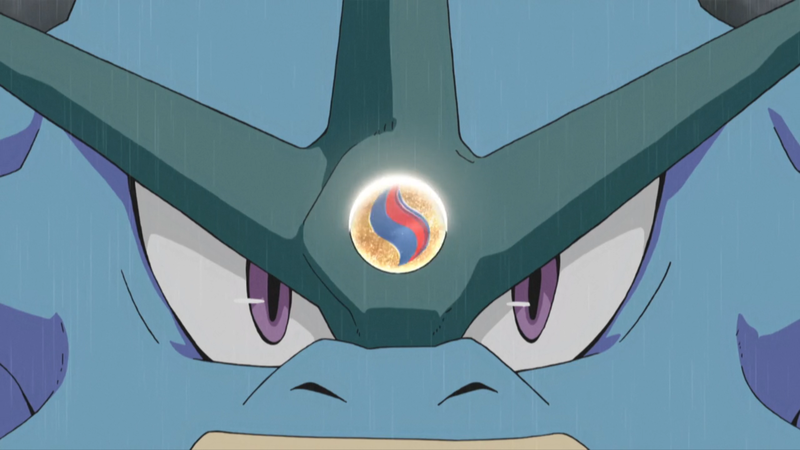 Regardless, the Alolan regions Pokemon League does exists in the game and hopefully at the end of this series Ash will get to compete and dare I say win the Alolan region Pokemon league. Hey, where did you get the episode? I haven’t been watching this season at all but I’m interested after reading this; your screenshots look great so I’m assuming you torrented it? Would you mind linking to it or telling me the group that subbed it? Ash better win the league this time. I’m still broken over him losing Kalos, but once the next league starts I’ll have to get over it and root for him. I treat the League like a real sport as I’m not really watching all of the episodes at the moment. I just check out the fights, but once the League episodes start I tune in as close to live as possible and check it all out. Gotta support my childhood favorite. The best part of Pokemon are the battles. It often skim the episodes to see if there’s a battle. Regarding the Pokemon league he’s got to win a some point right? I’ll keep watching until he does.